The Mekong region is emerging to be a new growth center as well as a strategic frontier for Asia due to its relatively high economic performance, deepening regional integration, and complex interdependence within the region. With the intertwining of economic dynamism and geopolitical competition, Mekong countries have been largely practicing economic pragmatism together with a strategic diversification strategy in their engagement with major powers. China and Japan are regarded as the two main economic and strategic partners of the Mekong countries. These two countries are competing for influence in the region mainly through exerting their economic statecraft – the use of economic might for achieving strategic goals. 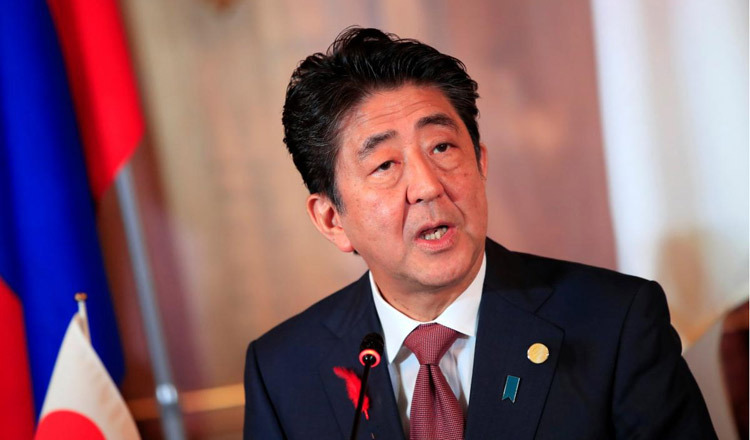 No longer keeping a low profile, Japan has recently shored up its economic presence as well as its strategic leverage in the region. Of course, Japan is not willing to confront China head-on but rather expand a strategic space for the Mekong countries to smartly and strategically manoeuver. Moreover, amidst rising geopolitical and economic uncertainties due to the unfolding trade war between the US and China, Japan has taken bold, proactive steps to main an open international economic system – in particular open and free trade. Japan’s leadership in concluding the Comprehensive and Progressive Trans-Pacific Partnership (CPTPP) is a case in point. Now Japan is pushing for the conclusion of the Asean-led Regional Comprehensive Economic Partnership (RCEP). When it comes to a sub-regional mechanism, Japan pays special attention to the dynamics of the Mekong-Japan cooperation. The 10th Mekong-Japan Summit wrapped up in Tokyo early last week and was a milestone to further integrate and connect the Mekong region and elevate Mekong-Japan cooperation to a strategic partnership. In the eyes of Japanese strategists, the Mekong region is the key geostrategic contesting ground and Japan must deeply and comprehensively engage with it. Japan will continue to work on its competitive advantages and strengths, which include technological know-how and people-to-people ties. Japan’s image and soft power in the Mekong region is another strength. So far, Japan’s development projects, including projects on infrastructure development, have gained positive feedback from the local people due to their high quality standards together with good governance and transparency. Leaders from the Mekong and Japan adopted the Tokyo Strategy 2018 with a focus on three pillars, namely vibrant and effective connectivity, people-centered society, and a Green Mekong. Each pillar has its own action plans. For instance, in the Green Mekong pillar there are four priority cooperation areas: water resource management, disaster risk reduction and climate change; circular economy (reduce, reuse and recycle), and conservation and sustainable use of aquatic fishery resources. Of geopolitical significance, Mekong countries have expressed their support for Japan’s initiative on the “Free and Open Indo-Pacific” or “FOIP” – which aims to realise three objectives: the promotion of a rules-based international order including the freedom of navigation and free trade, economic prosperity especially through connectivity, and peace and stability. 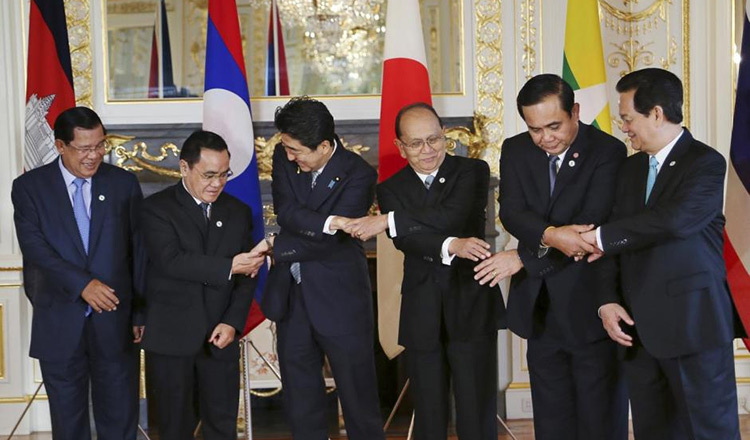 “Leaders of the Mekong countries welcomed Japan’s policy to realise a free and open Indo-Pacific to contribute to the peace, stability and prosperity in the region and the world. Leaders expressed their determination to steadily implement the Mekong-Japan cooperation projects which contribute to and complement the promotion of a free and open Indo-Pacific,” reads the Tokyo Strategy. 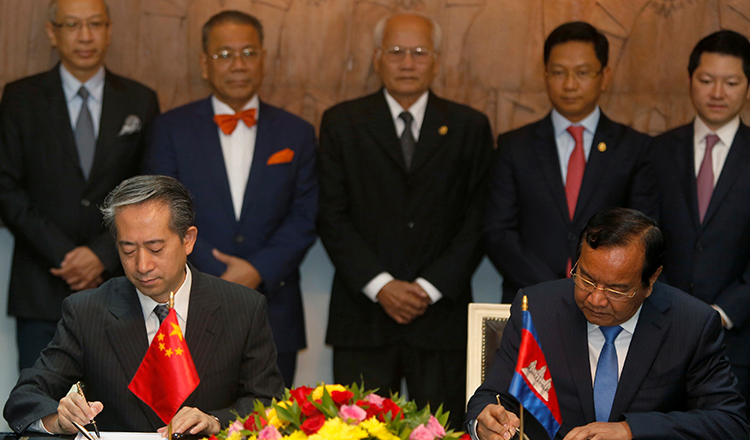 The statement of support for FOIP clearly illustrates that the Mekong countries are adopting a hedging strategy, at varying degrees, against China’s fast-growing political clout and influence in the Mekong region under the Belt and Road Initiative (BRI) and Lancang-Mekong Cooperation (LMC). The Mekong countries welcome the constructive engagement of all major powers to further promote peace and development in the region. Trans-boundary water resource management is a cause of concern given the lack of a rules-based water governance regime. Unfair and unsustainable management of the Mekong water resources potentially causes resource tensions and conflicts between the riparian countries. Japan is keen to support the Mekong countries in water resource management by building synergies between the Mekong-Japan Cooperation and other existing regional mechanisms including the Mekong River Commission (MRC), Greater Mekong Subregion (GMS), and the Lower Mekong Initiative (LMI). “Leaders stressed the importance of sustainable use and management of water resources and pledged their commitment to further collaborate with regional and international organisations, in particular the Mekong River Commission to address water related issues in the Mekong River Basin including trans-boundary water resources management,” states the Tokyo Strategy. Chheang Vannarith is board member and senior fellow at the Cambodian Institute for Cooperation and Peace (CICP). Sustainable development: Can Asean lead the process?